GR-Junior II, Other Guitar Accessory from Vibesware. Vibesware announces the availability of the second generation of its Guitar Resonator Junior feedback and sustain generator system. The GR Junior II is a more compact and affordable version of the Guitar Resonator-1, a system that allows for generating feedback and sustain by placing a device in front of the fretboard of the guitar that will generate an alternating magnetic field from the guitar pickup or piezo signal. According to the position of the Guitar Resonator head near the strings, the feedback will vary. The GR Junior II is based on the same technology and also uses a smaller box with a gooseneck that mounts onto any standard microphone stand. Being smaller, this version delivers less power than the GR-1. 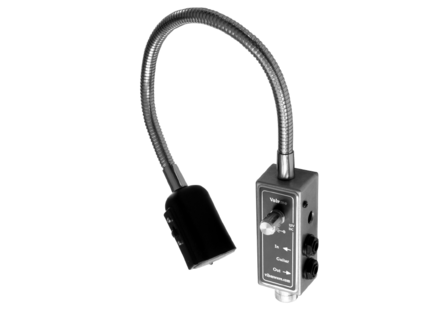 The gooseneck includes a 3W Resonator Power, a volume control and input/output plugs. 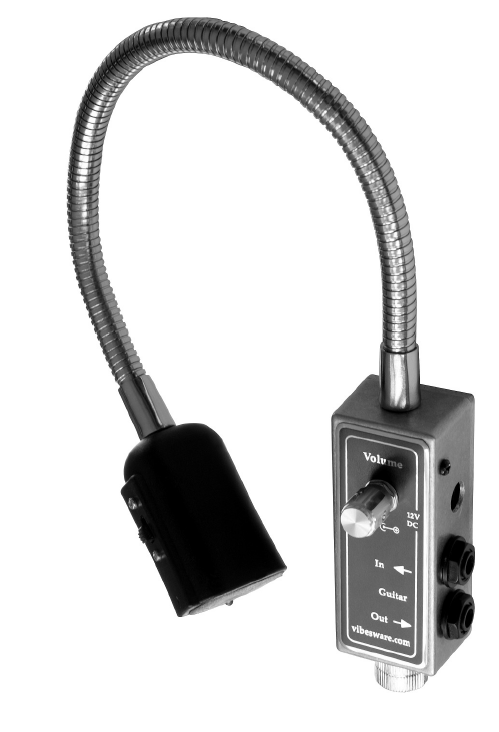 The gooseneck head (which is positioned towards the guitar fretboard) features a blue LED and an harmonic mode switch. This second version has a new Hammond die cast zinc enclosure like the GR-1. Note that the GR Junior II can not be used with the Vibesware optional foot controller. The Vibesware Guitar Resonators are manufactured in Germany. More details at www.vibesware.com. The DOD 201 and 250 are back DigiTech announces the rebirth of DOD, one of the most popular guitar pedal lines, with the reissue of two iconic stompboxes, the 250 and 201. Palmer Fab5 guitar combo available Palmer confirms its April announcement and launches the Fab5 5W retro-style all tube guitar combo. Ibanez releases the Offspring Noodles NDM3 Ibanez announces the availability of the new NDM3 Offspring Noodles Signature guitar, available with a Mustard Yellow finish.